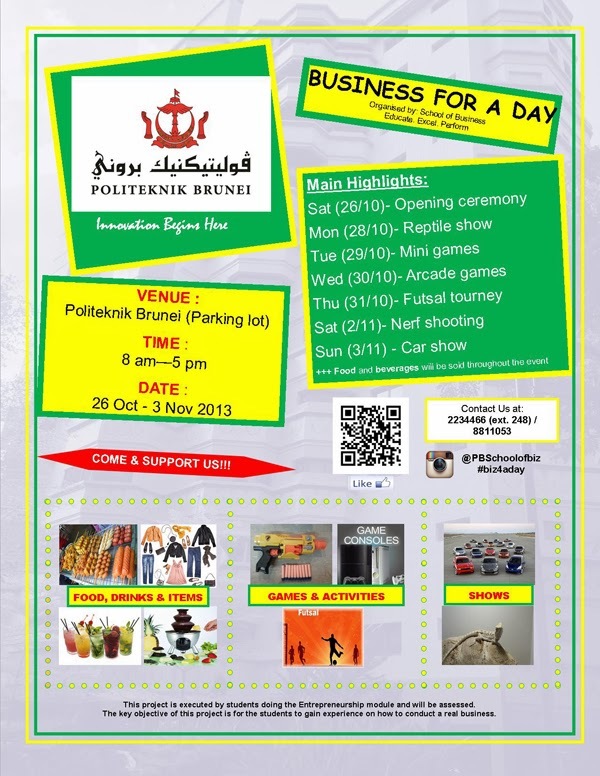 On the 26th of October, 2013, School of Business, Politeknik Brunei will hold an opening ceremony for the "Business for a Day" project. The project will run for a week (from 26 Oct - 3 Nov 2013), and at least 2 groups out of 14 (each group with different subgroups) will represent their business per day. It aims to give opportunity for the students to gain hands-on experience to conduct a real business and the profit generated will be theirs. This is also worth some marks for their Business Entrepreneurship module.